According to Rolls-Royce engineers, this architecture will underpin every new Rolls-Royce from today, including the upcoming second-generation Ghost. The flexible platform relies on scalable large aluminum structures to fit a number of applications by using various-size aluminum floor pans and cross members. The quality and rigidity of the platform has been increased by using new production processes, such as gluing, riveting and screwing. One of the great things about the Architecture of Luxury is the flexibility for a one-off models or highly bespoke cars, an area of interest to the bosses in Goodwood. Chief engineer Caroline Krismer says that the chassis is paired with a new air suspension designed to bring the Magic Carpet Ride to all other terrains possible. If a loss of traction occurs, the air suspension has to ability to push an individual wheel into the ground, bringing back traction and safety to the driver. 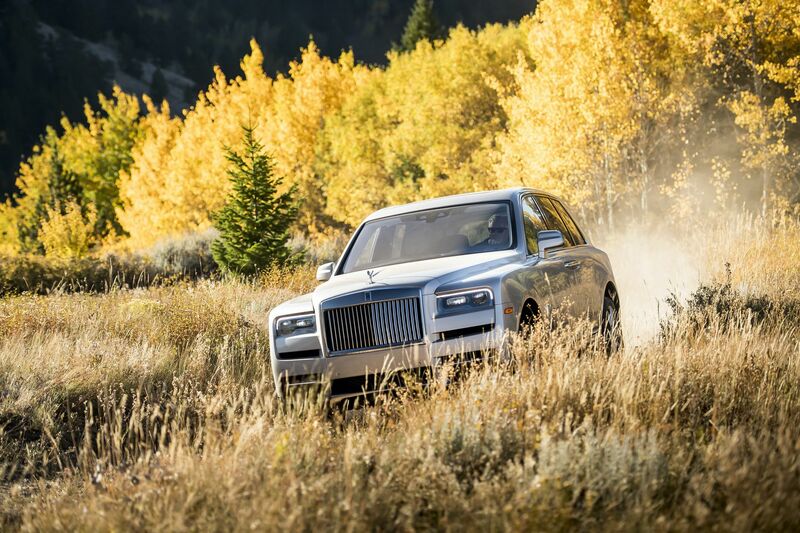 The air suspension also gets larger air struts than on the new Phantom with more air volume to provide the Magic Carpet Ride over the worst possible surfaces. Engineering jewels like a double-wishbone front axle, 5-link rear axle, electronically controlled dampers and active anti-roll bars, are also married to the new platform, further enhancing the uniqueness of the new luxury SUV. 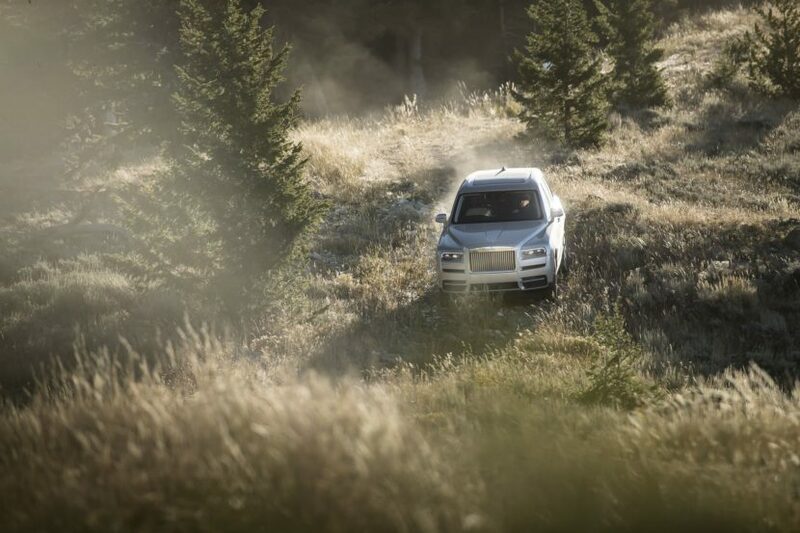 While at the launch event in Jackson, Wyoming, Rolls-Royce engineers emphasized again that the platform is purely Rolls-Royce and it’s not being shared with any of the BMW Group brands, and it has been in works since 2013. 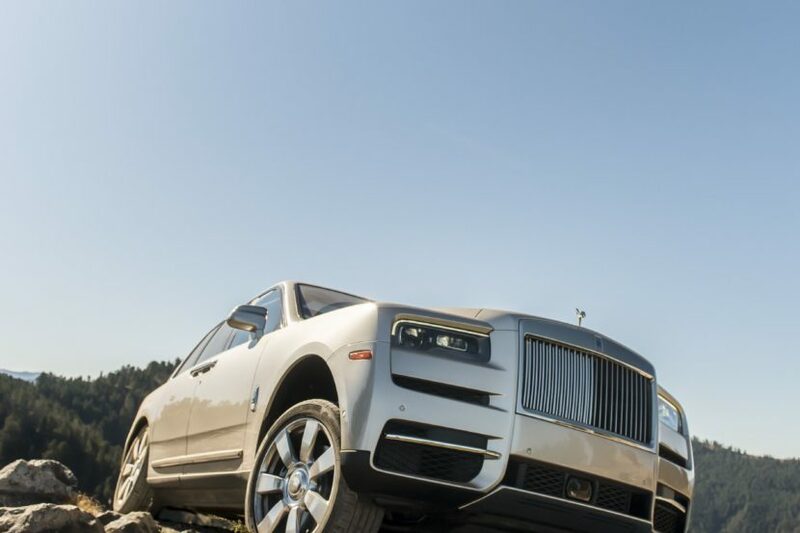 Rolls-Royce believes that sharing a platform between manufacturers can lead to compromises, which goes against the exclusivity of a Rolls-Royce model. 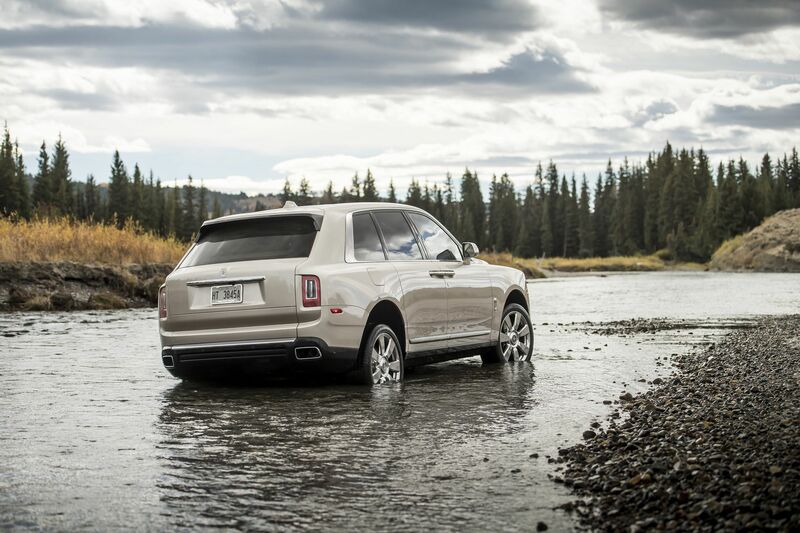 For more details on the new Cullinan and the driving experience behind the wheel of the most expensive SUV in the world, stay tuned for our review.